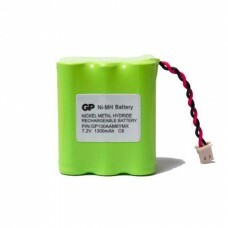 Reserve NiMh batterypack (accu) 7,2V/1300mAh voor Visonic PowerMax Plus draadloos systeem. Reserve NiMh batterypack (accu) 7,2V/1300mAh voor Visonic PowerMax Plus draadloos systeem. ..